Party (CHP) deputy Enis Berberoğlu and 10 years in prison for Cumhuriyet daily’s former editor-in-chief Can Dündar and the daily’s Ankara bureau chief Erdem Gül over a report on National Intelligence Organization (MİT) trucks. The indictment prepared by public prosecutor Mehmet Yeşilkaya, which was made public on Jan. 11, seeks the sentences for “aiding an armed terrorist organization knowingly and intentionally without being a member.” Yeşilkaya seeks a life sentence for Berberoğlu for revealing information that was supposed to stay secret. Hearings will begin on March 1. When the story first broke out in 2015, it produced a political storm in Turkey about the role of Turkish spy agency in arming of the rebel factions in Syria and prompted an investigation into Dündar and Gül. They were first jailed while facing trial on spy charges for publishing footage purporting to show the MİT shipping weapons to Syria in 2014. Later, two journalists were released pending trial. 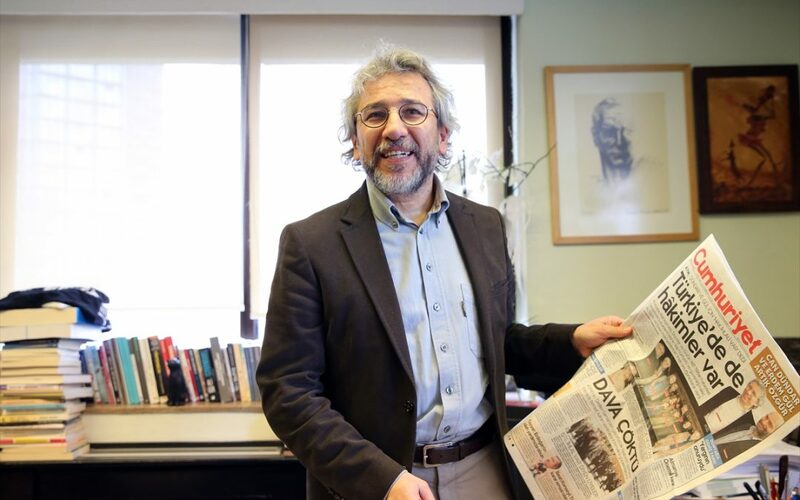 When Dündar later published a book “We are arrested,” he mapped out the details of the news story on May 27 of 2015, saying that a leftist lawmaker brought the information to him. Upon that new revelation, office of Istanbul Public Prosecutor launched a new investigation and examined phone calls of Dündar during those days leading up to the publication of the story. Prosecutor’s office detected a phone conversation between CHP Deputy Berberoglu and Dündar on May 27. A new indictment was prepared for Berberoğlu.